Nowadays, thousands of public and privately owned permanent GNSS (Global Navigation Satellite System) stations are operating in Europe. 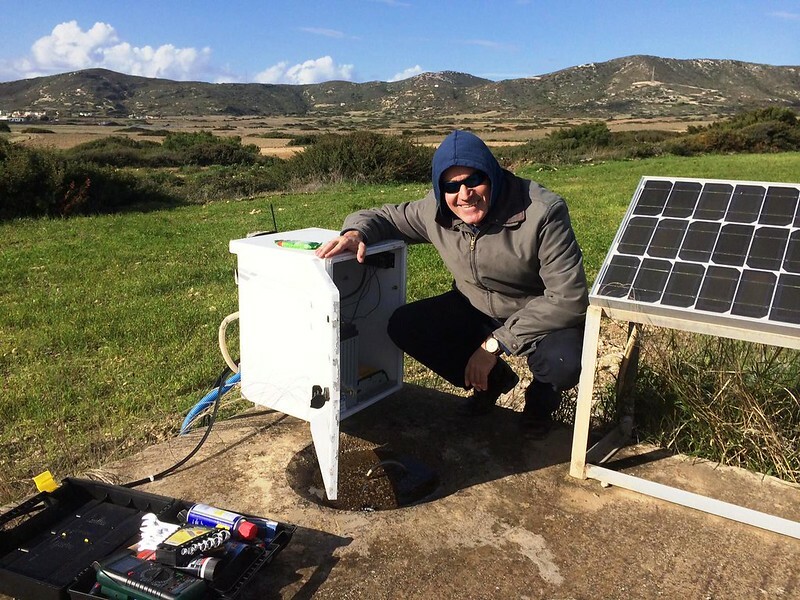 One point of access, aggregating all this data, is one of the main challenges for Earth Sciences community, which has been dealing, at present time, with collecting data from diverse stations distributed all over Europe. Forecasting this complex scenario, EPOS GNSS Data and Products TCS (Thematic Core Service) accepted the challenge of building a joint European GNSS data and product distribution system. By taking this as the general objective, GNSS TCS is developing an open source platform with web interface to capture data from a variety of GNSS stations operating in Europe, providing them through an integrated European network. National networks and those of the International Association of Geodesy (IAG) Reference Frame Sub-Commission for Europe (EUREF) contribute with the aim to increase the number of available data at European level to generate products based on larger number of stations for the Solid Earth research community. For the data distribution service, GNSS Data and Products focuses on data (RINEX files) that are available some hours or days after data acquisition. By connecting all data and products from repositories through an open source software named GLASS (Geodetic Linking Advanced Software System), it is offering to researchers in Solid Earth Sciences as well as researchers in other sciences a distributed and consistent platform to access data and products (and associated metadata). This unique tool is useful for everyone who needs to count on reliable data for being able to support research by accessing only one integrated system with data from many European GNSS stations. What GLASS is – Geodetic Linking Advanced Software System (GLASS) is an integrated software package deployed in a GNSS infrastructure to manage data and metadata. Developed from the original Geodetic Seamless Archive Centres (GSAC) concept that was created by UNAVCO (a non-profit university-governed consortium in United States that facilitates geoscience research and education using geodesy), GLASS is an open source platform, developed by EPOS GNSS Data and Products team, under Creative Commons licensing. How GLASS works – Encompasses three key elements. The physical components are the repositories, which means files and databases with data and products. The web services are the portals, monitoring tools, data and product mining solutions. And, finally, the software applications for managing interactions between repositories and services, such as quality control, submission and validation, synchronization and consistency, redundancy and uniqueness. The infographic shows the flow within EPOS from submission of RINEX data (and control of metadata by the M3G Centre) to the dedicated EPOS GNSS analysis centres that compute positions, velocities and strain. The long-term monitoring of data in EPOS is carried out by the Quality Monitoring Centre (not part of GLASS package). GNSS Data and Product gateways are the main point of access to the users – also the EPOS Integrated Core Services (ICS) will use these to get metadata from the GNSS Thematic Core Service. For whom GLASS is – The prospective users are individuals or institutions dealing with GNSS data and derived products. It is mainly focused on GNSS network managers (data and metadata) and scientists doing Solid Earth research (products). Usability and user interface – GLASS is built under an Application Programming Interface (API) characterized by GLASS API web services components, data portal for exploring and downloading RINEX data and associated metadata (including Quality Control) and products portal for exploring and downloading derived products and associated metadata. Redundancy and availability – For guaranteeing data availability, GLASS counts on a default repository (primary) decided by the data provider, a repository acting as a mirror of another (mirror) and an alternative repository (secondary). All data sources are provided by GNSS data repositories from multiple agencies – regional, national, EUREF and others. By unifying the access to existing GNSS data and products from multiple providers, becomes possible to collect, validate, store and disseminate data. Plus, turn into reality the delivery of products such as coordinate daily and time series, velocity fields and strain rate fields. What is GLASS for – It will make possible to compute the velocity of a station using external information to detect co-seismic offsets and co-seismic displacements associated with strong earthquakes. Besides, by using this platform, will be easier obtaining GNSS data for other applications, like the estimation of Volcano deformation and volcano velocity/deformation field estimation for multidisciplinary modelling. GLASS also allows GNSS time series at the Eurasia-Nubia plate boundary; to compute the velocity of a station to detect post-seismic motion; and to access to GNSS data quality results for monitoring purposes. Applied case – There was a large earthquake in L'Aquila (2009) and Solid Earth scientists might want to study the GPS time series to investigate the geophysical processes that caused it. By accessing EPOS GNSS Data and Products Portal, which runs GLASS, it is possible to select a rectangle area around its epicentre. Furthermore, they select the period before and after the earthquake they are interested in, and select from which EPOS analysis centre they want the estimated positions.